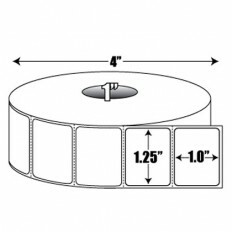 BLANCO manufactures high quality direct thermal label rolls that can be used for a wide number of uses - such as shipping, packaging, retail and manufacturing. Direct Thermal labels are printed with heat generated from your printer’s printhead. The heat activates the chemical coating used on direct thermal material which then turns black, creating your images. Direct thermal labels are sensitive to heat, light and handling and are often used for short term purposes. 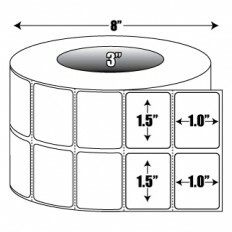 Our large selection of sizes gives you many options when choosing the right label for your application. Our labels work well for printing barcodes, shipping labels, product identification, price labels and box labels. We use a quality direct thermal material which allows your label to have a quality print. 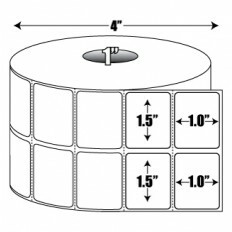 Each label is perforated, allowing easy tear off from the roll. We offer 1” core and 3” core options, to fit most common name brand printers. Blanco Labels also manufactures a number of different material stocks and adhesives. 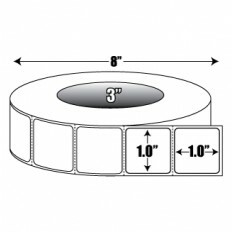 We have a non-top-coated direct thermal with a general purpose adhesive, which is ideal for barcodes or shipping labels. Our top coated direct thermal label with cold temperature adhesive can be used in any refrigerated or frozen application. These labels must be applied before frozen but work well when stored in the freezer. 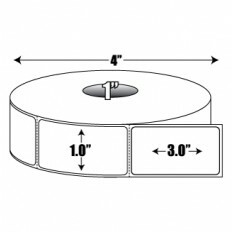 We also offer a waterproof polypropylene direct thermal label with cold temperature adhesive. This type of label would be used in any high moisture environment, such as the poultry or seafood industry. Polypropylene labels are also beneficial because they do not tear easily, offering a more durable label. 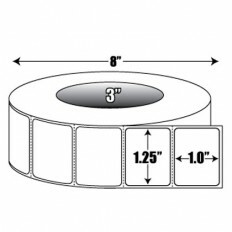 If you don’t see the direct thermal labels or other thermal printer accessories you are looking for on our website, simply give us a call (888-325-2626) and we’d be happy to assist you with your custom need.